Madaworks Scholarship Program Application goes to press! 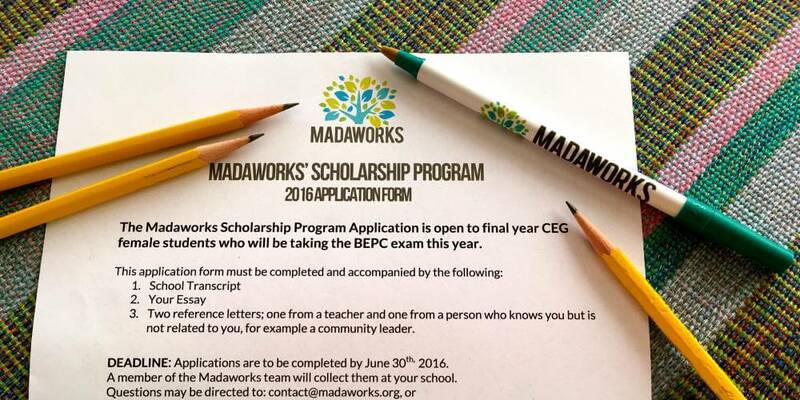 We are pleased to announce that the Madaworks Scholarship Program application is about to go to press. 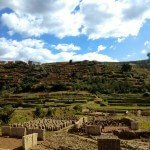 Thanks to our local Scholarship Committee, based in Ranomafana, this application will be translated into the local Malagasy dialect which I will then format to our application template. 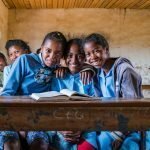 In April, I will be traveling to the Ranomafana region of Madagascar to distribute the applications to our selected middle schools. We will meet with the teachers and the girls who will be eligible to apply to our scholarship program. The scholarships will be awarded through a merit-based competition. The girls will be submitting the completed applications by the end of June. After collecting all of the application forms from the eligible schools, the Scholarship Committee will convene and review the applications. Interviews will be arranged for the finalists. Selection of the winners will take place sometime in July/August. Recipients will then be announced in each of the schools we are targeting. We are very excited to see all of the hard work of our board and support of our donors coming to fruition. Stay tuned for more updates!